Bikes came to the rescue again nearly 20 years later when Follien lost his job, and with it, his health insurance. Significant medical issues ensued, including complications from Type 1 diabetes, gastroparesis, and neuropathy of both wrists. Due to unfortunate circumstances beyond his control, Follien became severely depressed, living off the generosity of friends and family. 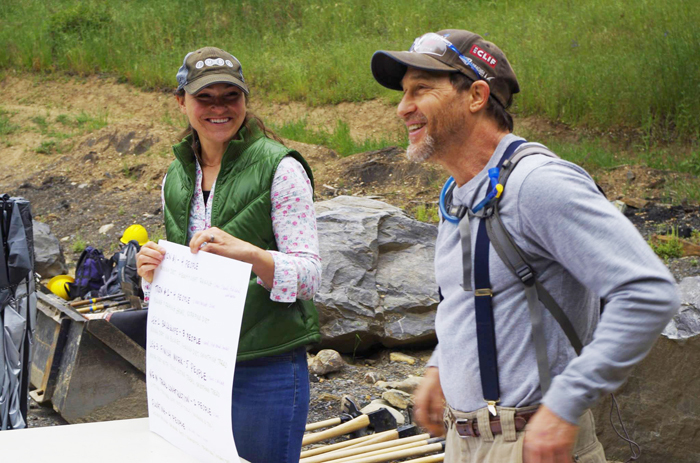 Follien knew that mountain biking trails can bring economic benefits to a rural community while helping local youth and serving as fuel breaks in wildfire-prone terrain. He also knew there were plenty of US Forest Service (USFS) dirt roads in the area, but not much singletrack. So, he set out to make mountain biking trails. Soon after his move, Follien met Kevin Galos, a local firefighter who shared his vision. Not long after that, Dusty Vaughn, at that time the USFS Recreation Specialist, invited Follien to present his vision to himself and USFS Public Affairs Specialist Vern Shumway. Impressed, they handed him a number of area maps and asked him to find a potential zone for trails — a dream come true for Follien. The ideal location turned out to be a 500-acre failed tree plantation-turned-unmanaged fuel break between the Stanislaus National Forest and Groveland’s Pine Mountain Lake community. The area’s first mountain bike organization — the Groveland Trail Heads — took root around this project, called the Ferretti Non-Motorized Trail System. The organization’s original board consisted of Follien, Galos, and Vaughn, along with Galos’ wife Ariel, Ryan Byrnes, Justin Nash, and Tom Wilson. (Tom Walker later joined the crew.) 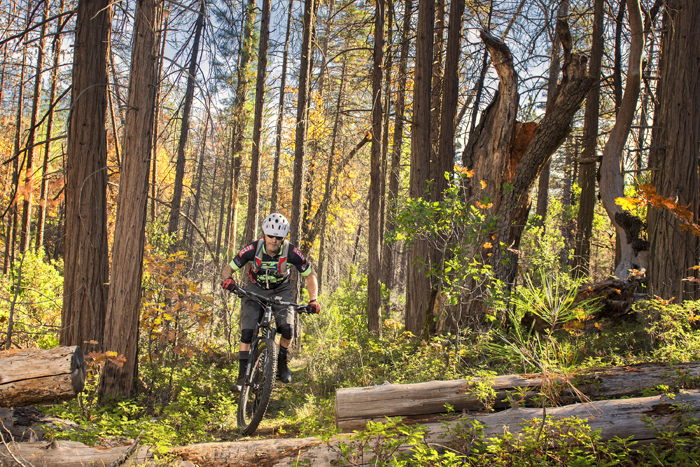 They envisioned world class mountain bike specific trails at Ferretti for all levels of riders, which would put Groveland on the map as a mountain biking destination. And of course, developing trails would revive a much-needed fuel break. With recent USFS approval to move forward with the project, efforts now turn to raising funds and recruiting a volunteer base. Groveland Trail Heads is also actively involved with multi-use trail projects in the area, such as the Rush Creek trail system and Long Gulch Ranch. As if that’s not enough, the group is planning its second annual Groveland Grind, a mixed-terrain cycling adventure and festival that benefits Groveland trails. The event, which is set for May 18, 2019, is in need of sponsors and volunteers. Learn more about Groveland Trail Heads at grovelandtrailheads.org.